For many of us, our offices become our second home and our work mates become our families. We spend an enormous amount of our time working and our work and offices have a huge impact on of lives. A positive office is a happy and motivated one. If the space in which we work in and spend so much time has a negative feel, then this will be harmful towards not only our work but also our entire attitude towards the office. In this interesting and creative article, we look at some fundamental and innovative ways to create and maintain a positive office environment, no quotes or politics, just some simple steps. You will be spending most of your time confined to a desk which is bad enough. In a tip for a positive office environment, keep your desk as clean as possible, this will not only help you feel more centered and positive but will also the limit the amount of germs around your working space. Also de-clutter frequently. Clutter is not good for our psyche and motivation. Clean and clutter-free are the ways to go for a positive office space and desk and one that you are proud of. Clutter does not only have to be something tangible. In most of our working environments, we conduct our work on computers and digital clutter can build up at an alarming rate, this weighs us down. Go through your computer, its saved memory, emails and desktop and get rid of all the unnecessary clutter that has built up over time. This will not only leave you feeling better but your computer will appreciate it too. We are all inherently creatures of habit and this can be good but when the mundane starts to weigh us down, we become stagnant and unmotivated. Changing our office could make it a more positive environment for us to work in; it can break office politics and create something different to look forward to. Be creative when creating your positive office environment. Possibly include some pictures of sorts, some colour and even maybe conduct a brainstorming session to see what the office would like to include and create. Sprucing up your desk and work space can be one of the major ways to create a positive office. Tailor your desk to your liking. Include your interests and passions. Possibly get a lovely plant to add some oxygen and colour to your surroundings and why not include some personal items such as photos. These will all help in creating a positive office for yourself. 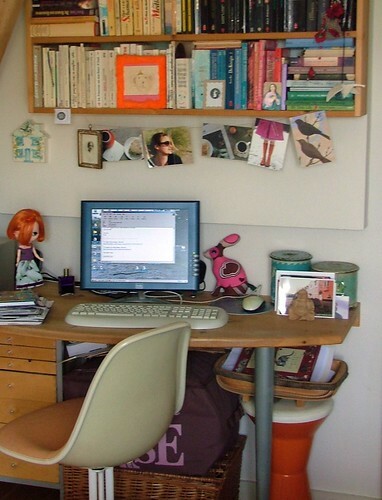 Jemma Scott is a freelance writer who enjoys talking about office and work tips. Her inspiration stems from her time in executive suites Oakland creating a positive office for herself.